Designed for your little champ, this grey colored school trolley bag from Simba is certainly not to be missed out on. Crafted from polyester, this bag is durable, light in weight and waterproof too. Featuring a spacious compartment, this bag will easily hold books, bottle and other stuff. 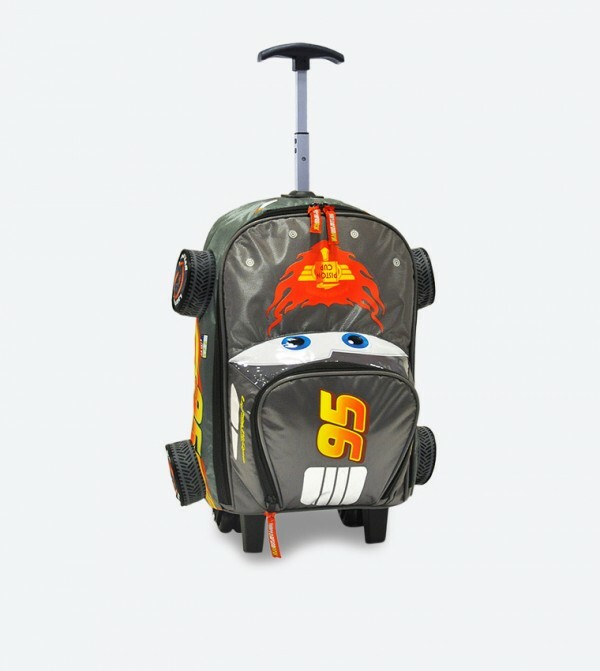 This bag has a graphic print of Cars on the front and zip closures.